Stirred fried chicken in spicy chili sauce. is one of the oldest chinese restaurant in Ghana and also one of the best chinese restaurants in Accra in terms of food and service. They are located in Osu, East Legon, and Kumasi. They however have indian cuisines available. Their most popular branches are Osu and East Legon. Our passion for food is the reason they are considered best chinese restaurant in Accra. They are driven by passion - a passion for good food. Hence, they never make compromises, be it the quality of ingredients, authenticity of the cuisine or the skill of the Chef. They always ensure the best. Be it kitchen or operations, marketing or customer service, they have some of the leading experts in the country. Professionals, with hands on experience in front line service institutions have joined hands to forge the group ahead. At all their restaurants, hygiene comes first and they leave no stone unturned to achieve the best, be it ingredients or process related. Customer feedback is of paramount importance to them. The menu planning, the service standards, systems and procedures are constantly being enhanced to match customer expectations on a day to day basis. Chinese cuisine brought alive from China to India -their range is as diverse as the two countries. And remember, it is as authentic as you can get, with master craftsmen dishing out the sumptuous delicacies day in and day out. 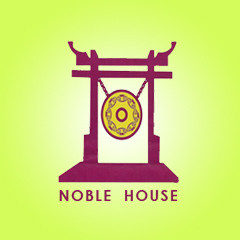 Looking for a Chinese restaurant that gives you the same experience as those in China, you should consider ordering from Noble House Chinese Restaurant also the best chinese restaurant in Accra.